Mumbai: Braving a bleak outlook for the financial industry globally, India’s banks are proceeding with plans to expand their overseas networks, seeking to tap the estimated 30 million people of Indian origin living abroad. State Bank of India (SBI), the country’s largest lender, is leading the effort. SBI is in the process of setting up branches in Canada, Saudi Arabia, Dubai, China, Hong Kong, the Maldives and Nepal, and studying the possibility of opening at least one more outlet in the US, said an SBI executive who didn’t want to be named, citing company policy. India’s banks have in recent years expanded their overseas networks in an attempt to win customers from among non-resident Indians and local companies venturing abroad as well as tap opportunities in trade finance. Many applied for branch licences long before the onset of the global financial crisis. “Opportunities in the overseas market still exist, though it may be more restricted than was thought six months ago," said Seshadri Sen, associate director of research (financials and strategy), at Macquarie Capital Securities India Pvt. Ltd. “The central thesis of most of the overseas expansion was to meet expatriate Indians’ financial needs—and that market still remains." The Indian diaspora generates about $400 billion (Rs20 trillion) in economic output and an annual income that is roughly about 30% of India’s gross domestic product. SBI, which in March became the first Indian bank to get a qualifying full bank status from the Monetary Authority of Singapore (MAS), has three branches in the city-state where it plans to open two more by the end of fiscal 2009, said the SBI executive. Full bank status allows SBI to open up to 25 branches and automated teller machines in Singapore. “The business outside India is growing faster than that inside," SBI chairman O.P. Bhatt told The Banker magazine in an interview published in its December issue. “We are a natural first choice for Indians outside and we want to go there to satisfy that natural business. At present our business outside India is about 10% (of total business) and in about five years we hope to double it to 20%." State Bank isn’t alone in venturing overseas. Bank of Baroda is opening a branch in Houston in the US and upgrading its Sydney representative office to a full branch. It is also looking to open branches in Yemen, Qatar and Kuwait in West Asia, said executive director R.K. Bakshi. Bank of India plans to set up a subsidiary in Canada in about seven months and is looking to open branches in South Africa and Madagascar, said J.S. Chiney, general manager, international banking and treasury. Both, Bank of Baroda and Bank of India, are also in the process of opening subsidiary banks in New Zealand. Bangalore-based Canara Bank opened a branch in the Chinese commercial city of Shanghai two months ago and has five more licences to open outlets overseas, said a Canara official who didn’t want to be named because he isn’t authorized to speak to the media. The expansion comes at a time when the country is trying to attract fund inflows to counter a flight of investors from a slumping stock market that, in turn, is weakening the rupee. To attract deposits from so-called non-resident Indians, the Reserve Bank of India last month raised the ceiling on foreign currency term deposits by 75 basis points (one basis point is one-hundredth of a percentage point) to 100 basis points plus Libor, or the London interbank offer rate. The increase would make Indian bank rates more competitive than those offered by counterparts in developed markets. State-owned banks could also leverage their reputation of being solid, stable and dependable institutions to win over customers at a time when banks abroad are faced with a crisis of confidence, analysts say. “I think this is the right time to expand," said Vipul Shah, a banking analyst with domestic brokerage KR Choksey Shares and Securities Pvt. Ltd. “Thanks to our regulators, Indian banks have very strong balance sheets and are strictly supervised." Some analysts say banks venturing overseas should be wary. ICICI Bank Ltd, India’s second largest lender, said in March it had a mark-to-market loss of $264 million on account of exposure to credit derivatives products and losses its subsidiaries in the UK and Canada needed to book on investments that had depreciated. “ICICI’s plain vanilla banking overseas did not encounter any problem as such but where they got burnt was their investment in complex securities," said Hatim Brochwala, analyst with Mumbai-based Khandwala Securities Ltd, a brokerage firm. “Whoever invested in such securities incurred losses. Indian banks would do good avoiding such securities as it is a difficult instrument to understand." He added, “The problem with Indian banks overseas is that their advances are growing at a healthy pace but they are not able to garner enough deposits. This would create an asset-liability mismatch that Indian banks should be aware of." Indian banks are limiting their overseas expansion to using licences they have already received from regulators to open new branches; they aren’t seeking new licences, they say. Regulatory permission to open branches is difficult to get once the licences lapse, banks say. Even opening two or three branches overseas a year can be tough, said the SBI official who didn’t want to be named. “We have a pipeline of branches to be opened, and we are speeding up the process," the official said. 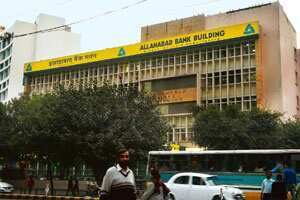 Among Indian banks, State Bank has the largest overseas network. At the end of fiscal 2008, it had 84 offices spread over 32 countries, covering all time zones. Bank of Baroda had 71 branches spread across 25 countries, and Bank of India, 26 in 14 countries.